Political consultations between the ministries of foreign affairs of Azerbaijan and Turkmenistan took place on October 18 in Baku, the Ministry of Foreign Affairs of Azerbaijan said in a message. The delegations were headed by the Foreign Minister Elmar Mammadyarov from the Azerbaijani side and the Deputy Chairman of the Cabinet of Ministers of Turkmenistan, Minister of Foreign Affairs Rashid Meredov from the side of Turkmenistan. The sides underlined the importance of traditional cooperation between the two neighboring countries, stressing that the priorities of development of the Azerbaijan-Turkmenistan relations are determined by the heads of state. In this regard, Rashid Meredov expressed his gratitude for having an opportunity to be received by the President of the Republic of Azerbaijan Ilham Aliyev during his visit. Mammadyarov noted that the consultations are praiseworthy and create a great opportunity to coordinate the positions on a wide range of issues related to the broad agenda of bilateral relations. As part of the consultations, the sides discussed political-diplomatic, international and regional cooperation. The historic importance of the Convention on the legal status of the Caspian Sea, which was signed at the Aktau summit, has been highlighted once again. The positive dynamics observed in trade-economic cooperation between the two countries was noted and the prospects for coordinating the work to be done by various governmental bodies and business circles with a view to improving the quality of bilateral cooperation to a new, higher level were discussed. It was emphasized that there are opportunities to continue the good partnership for further development of relations in logistics, industrial and cultural-humanitarian spheres. At the meeting, Meredov expressed his gratitude to the Azerbaijani side for not only the support, but co-sponsoring the initiatives of Turkmenistan in international organizations, and first of all, the UN organizations. 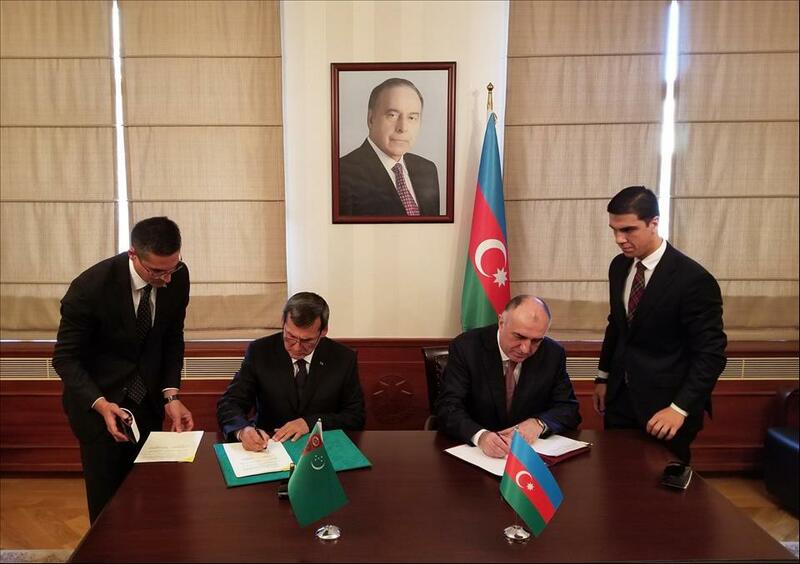 Mammadyarov expressed his gratitude to Turkmenistan for its support to Azerbaijan in different international organizations, especially in the context of the territorial integrity and sovereignty of Azerbaijan regarding the Armenia-Azerbaijan conflict. The sides also exchanged views on mutual support within international organizations, expansion of the legal framework between the two countries, as well as other regional and international issues of mutual interest. In conclusion of the consultations, the ministries of foreign affairs of Azerbaijan and Turkmenistan signed a cooperation program for 2019-2020 at the ministerial level.